I am sensitive to religious proselytizing, yet I am very enthused about the dharma, as readers of this blog must know. I am sure the Christians feel the same way about their message. I wonder how my enthusiasm compares to the message of Christian evangelism. "Have your heard the 'Good News'" is what the Christians say. As a dharma practitioner and enthusiast, I feel that the dharma is also good news, and that if folks have not heard about the dharma, they might be interested. So what's the difference between my view and the Christians in my neighborhood who go around door-to-door? There is a difference. I used to invite the missionaries in and ask for equal time. You talk ten minutes, and then you listen to me for ten minutes. Well, that did not last long. They were into talking, not into listening. If fact, I must have been so scary to them that they would go and bring back their leaders, their "Big Guns," to protect them. Of course, they didn't listen either, soon figuratively crossed their fingers at me, and departed, but I digress. IMO, my enthusiasm for dharma is not identical to the missionary's evangelism, at least I hope not. For one I don't go around door to door. And second, I don't ask anyone if they have been saved or if they have accepted Buddha as their savior. And I don't tell folks, like my young niece once told me, "Gee Uncle Michael, I am sorry I won't be seeing you in heaven," sweet little thing that she was. I respect all religions, and am always happy to meet someone who is content with their own. But please don't insist that I should worship as you do. Buddhists are not missionaries. I have never heard that agenda in all my years around the Tibetans, but they can be devoted. Buddhists may not be aggressive about sharing the dharma, but they do consider it precious. I certainly do. A bodhisattva is endlessly energized to share with others how they can learn to enlighten themselves. How does one get that way? The textbooks say that such enthusiasm is a product of compassion, but compassion for what and whom? Of course a bodhisattva has compassion for the sick and their suffering, but they also know that healing the physical is but a half-measure. It does not, in itself, change anything but the health, which of course is important too. The role of the bodhisattva, as I understand it, has to do with pointing out how we may go about enlightening ourselves spiritually, becoming more aware, the same thing the Buddha did. Are Buddhists proselytizing? Are they evangelists? That is a fine line that finally falls into an opinion, so there is no simple answer. I would say no. In my experience, the Tibetan Buddhists I have met are not interested in converting anyone to anything. Let's not mistake endless enthusiasm for evangelism and its attempts at converts, but let's be clear. All of the so-called faiths and religions are faced with the same world of cyclic existence that we call "reality." All share some of the same views and even techniques, whether it is the "exchange yourself for others" of the Tibetan Buddhists or "Do unto others as you would have them do unto you" of the Christians. We are looking at the same things here, only differently, and often only slightly differently. The Buddhists are the first to say that bodhisattvas appear in other religions aside from Buddhism. In other words, the dharma exists independently of whatever wrapper it comes in. Differences in approach begin to appear when we get to questions of karma, rebirth, heaven, and things like that. Despite some similarities, the different religions do diverge, even though we can perhaps see some essential ideas reflected to a degree in all of them. Perhaps ideas of heaven can be similar to those of enlightenment and so on, especially if we don't inquire too deeply, but with ideas of rebirth we come to a full stop. Like the old Schlitz beer commercial, the Christian view is the slogan "You only go around once," while the Buddhist view is more like watching the movie "Groundhog Day," where we can get enlightened if we try, but it may take many tries and many lifetimes. There is no subtle difference there; it's right on the surface, one life or many. Which is it? Sooner or later we all become comfortable with one spiritual approach or another, be it a recognized religion, some other faith, or no faith at all. As for me, I was brought up in Catholicism, so it would have been convenient to go onward with what I grew up with. But getting comfortable with Catholicism was difficult and finally impossible. I had to move on, despite my roots and training in Christianity. And it takes some serious disappointment to uproot me like that. Some of the Christian beliefs were simply, well, incredible. I couldn't believe them, and I didn't. And no one could help me. I had to figure it out for myself. Ultimately we all do. For me, perhaps the attraction was that I found in the dharma a reflection of the world of Mother Nature with which I was already familiar, essentially a one-to-one match. I had already taken refuge in the dharma of nature (and living things) many years before I had even heard the word Buddhism. There was no "conversion" needed; it was like coming home or recognizing a dear friend in a crowd. I was already thinking the same way myself. There was nothing new except my awareness that the dharma was familiar. This is not to say that I did not have to work very hard to learn enough technique to make meditation more than just an occasional moment in an otherwise chaotic life. It took me years to see clearly enough to get much of anywhere meditating. Part of that was due to an almost complete ignorance of meditation in American society. We just had no idea and were used to only using the mind to do things in the outside world, like algebra or philosophy. That was our training. We never thought to turn the mind on itself and look within. We assumed that our mind was good-to-go, just as it came out of the box. It never occurred to us that we might be wearing dirty glasses. Never. This was total news for me and I had no idea how I might go about cleaning them. That is where Buddhism came in. Meditation is not taught in schools, and is not likely to be taught any time soon, either, at least not as long as meditation is linked to spirituality, and in particular New Age spirituality. 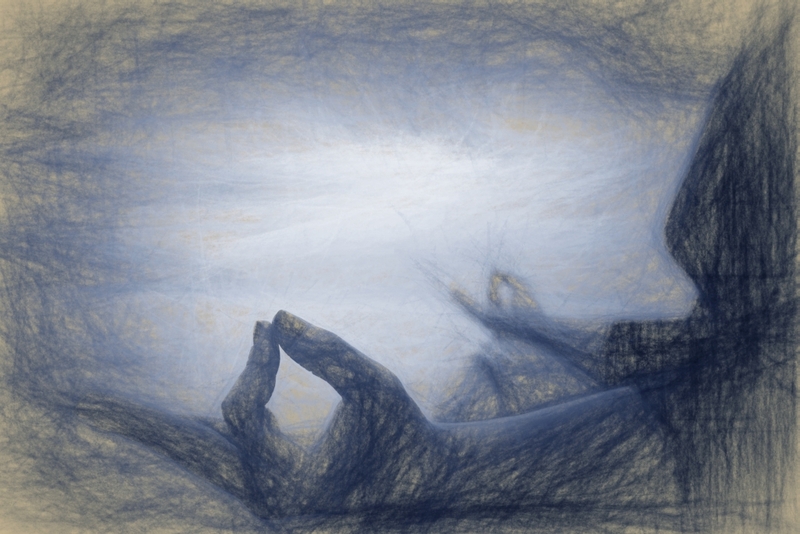 There are scores of so-called "spiritual" techniques masquerading under the one name "meditation." How is the public to know which is the authentic technique used for the last 2500 years bu Buddhists? Good luck. And of course meditation is not taught or promoted at Christian churches, except perhaps in a very few, like Unity Church. So, in America we are caught in a Catch-22 when it comes to spiritually-oriented mind training, although secular mind training does seem to be picking up. Those are my thoughts about Buddhism and how it is shared. I have never had a Buddhist try to proselytize me, but I have had some run a little fire & brimstone through me at times. It is not the same thing as proselytizing, but can still be scary enough in its own right. We could talk about that too, sometime.